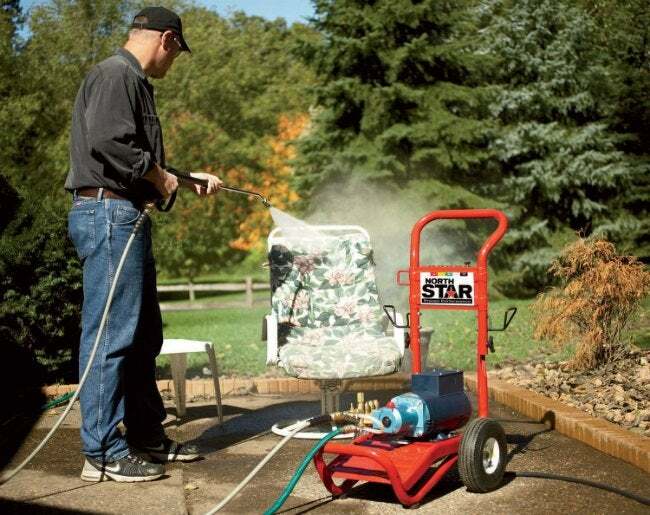 Want to rid your outdoor items of built-up dirt and grime? Take a gleaming glimpse of the best clean machines on the market today. Nothing says “clean” like a great pressure washing! Everything from decks and driveways to patio furniture and window shutters collect dust, dirt, and the occasional dollop of bird poop, growing grimier by the day. But a good pressure washing can spray away weeks, months, even years of buildup. 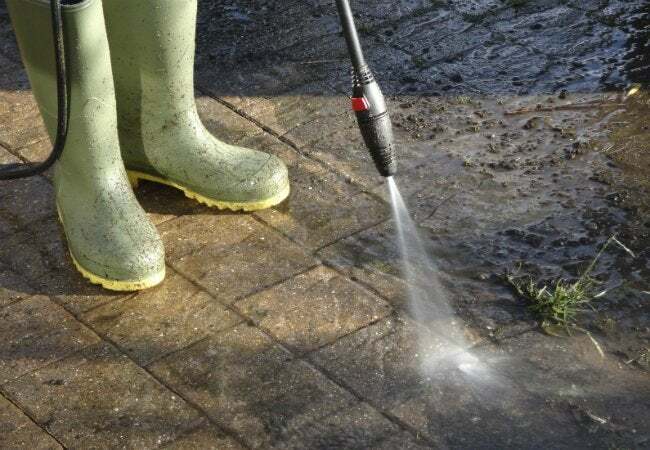 Read on for a breakdown of the types of pressure washers and the features they offer to determine which is best for you. Then peruse a few highly rated models to help you get the most blast for your buck. Gauge gas versus electric. If you’ve got large areas to cover—think pool decks, patios, and tall exterior walls—and want as much mobility and power as possible, a gas-powered pressure washer is your best bet. These models don’t tether you to an outlet, so you can really move around, plus higher pressure that stretches farther to get the job done fast. 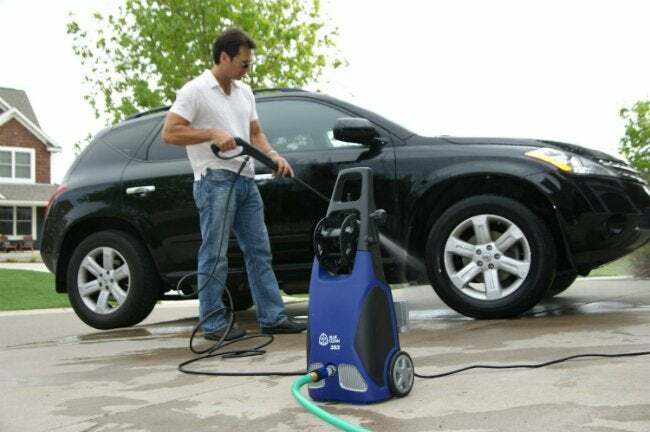 For smaller, simpler chores like cleaning outdoor furniture, the family car, or just a few feet of exterior space, electric pressure washers are just the ticket. Generally quieter and lighter than their gas-powered counterparts, these plug-ins don’t offer quite as much mobility, but if you buy one that’s extension-cord compatible (not all models are), you can stretch the perimeter of the job without having to switch to a new outlet every few meters. Just be sure to keep the socket and plug—not to mention your hands—completely dry when connecting and disconnecting the cord. Pick your power setting. Pressure washers come in a variety of settings. Those rated below 2000 pounds per square inch (PSI) are considered light-duty and work best on the small stuff like patio furniture and cars. Medium-duty pressure washers (between 2000 and 2800 PSI) have a little more oomph, and from 2900 to 3300 PSI, you’ll find heavy-duty models perfect for large driveways and high walls, as well as exterior paint job prep. At the top of the spectrum, extra heavy-duty pressure washers top out over 3300 PSl; they’re considered professional grade and have a steeper sticker price. If you’ll be doing a variety of cleaning jobs, consider a multi-duty model, which lets you adjust the pressure, tailoring it to the task at hand. Feel the force. Another feature to consider is how many gallons per minute (GPM) a pressure washer expels. In consumer-grade washers, the flow rating tends to run between 1.0 and 4.0 GPM. Generally speaking, higher numbers result in faster, easier cleanups. So if you’re dealing with truly stubborn mud, crud, or gunk, let the force be with your and opt for a higher GPM. Keeping these key considerations in mind, you’re ready to clean up with a winner! Here are three top-rated models. Powered by a Honda gasoline engine, this moderately priced model packs a punch—3100 PSI and a GPM of 2.5, to be exact—and its 25-foot flexible spray hose can direct that super soaking anywhere in need of a quick clean. Thanks to its Idle Down Technology, the machine operates up to 40 percent quieter than its competition, not to mention on less fuel. 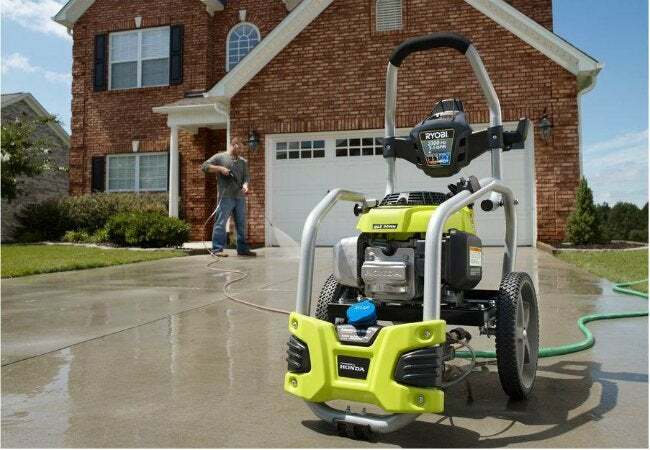 It even received high praise from Popular Mechanics, which called this gas-powered pressure washer a close second—”nearly identical”—to the now discontinued model that the publication ranked best overall pressure washer. Available from Home Depot. Consumer Reports rated this electric model a 73 out of 100, giving it the distinction of being the highest pressure washer recommendation on the site. Made with an industrial-class pump, easy connections at the wand and pump, and hardy construction, the heavy-duty 112-pound washer has an ergonomically designed spray shaft that makes it a pleasure to use. While it requires a 240V receptacle, which might require some special installation if you don’t already have one in your yard, its hard to beat the high pressure, solid flow, easy operation, and general effectiveness. Available on Amazon. This 1900 PSI, 1.5 GPM washer is a great choice for smaller cleaning projects, and is super affordable too. One of the most popular models on Amazon, this electric option has earned a four-star rating through more than 2,700 user reviews. It’s environmentally conscious, too, delivering an 80 percent water savings over an average garden hose. With a 20-foot hose and a 30-foot power cord, it offers decent mobility, and weighing in at just 27 pounds, it’s no big deal to tote it if you have to. Available on Amazon. Now that you’ve got a handle on features and functions, you’ll be able to clean like a demon in no time. Power up!